Audiobooks are basically voice recordings of textbooks. There are different versions of Audiobook available on the market, but which one is preferable is dependent on you. You can get the word-by-word version or the abridged versions. Nowadays people mostly prefer Audiobooks, as they are very flexible and you can listen to them from your music player, smartphone, computer, tablets home theater, and even your car will support the audio format as well. 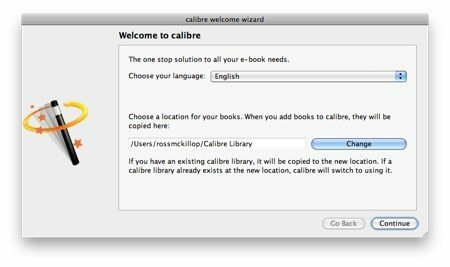 There are times when users want to transfer Audiobook to iPhones, like when they are changing the phone and they want to take their favorite Audiobooks with them or maybe because of space management they need to transfer data. So, mostly users look for how to get Audiobooks on iPhone, and for your convenience, they are mentioned below. 1. So, launch the iBook app. 2. Tap on the Audiobooks chart to find all the Audiobooks available. 3. Select the Audiobook you want to download. 4. Tap to buy the Audiobook. 5. When you have finally purchased the file, navigate to the Purchased tab below. 6. Tap on the Audiobooks or on the recent purchases. 7. Finally, tap on the iCloud icon beside to download the file. So, this is how to put Audiobooks on iPhone directly. In our opinion, the easiest way to transfer Audiobook to iPhone is to use a third-party app. And coming to apps, nothing is as effective as Tenorshare iCareFone. It is an excellent tool with all the things you need to manage any type of data with ease. The interface is very simple and there is no risk of data loss. It has the option to transfer both free and purchased audiobooks available on the internet. There is no limit to the amount of data you can transfer. 2. Now, get a USB cable and connect your computer to your iPhone. 3. Enter the Manage from the top menu bar. 4. Click on the Music icon. Do not go to Book, as the Audiobooks are mp3/wma/aac files. 5. Finally, click on the Import option after choosing the files you want to transfer. As you can see this is the simplest method to transfer Audiobooks to your iPhone and you do not even have to use iTunes. 1. First, you have to connect your iPhone to your computer. You have to use a USB cable for the purpose. We recommend Apple USB cables for a better experience. 2. Now, run iTunes app. 3. A device icon will appear on your screen, click on that. 4. Now, select the option to “ Manually manage music and videos ”. 5. You also have to unselect the “ Sync only checked songs and videos ” option. 6. Finally, click “ Apply ”. 1. On the main iTunes panel, you need to click on the Book icon. 2. Now, go to Library and select the Audiobook option. 3. Select the Audiobook or the Audiobooks you want to transfer and then drag and drop them over the Device icon. 4. After the transfer is completed you need to click on the Device icon and then Eject. And you have successfully completed the process. Audiobooks are trending on the market and it would be best for you to transfer all the files you have on your new iPhone. All of the options mentioned above in the article are low risk and easy to use methods to transfer Audiobooks. But if you are looking for something more efficient then you should definitely go for Tenorshare iCareFone. Highly recommended! !